If you're in the market for a vacation home, first off, congratulations! Vacation homes are incredible and worth every penny. Now it's time to do your research. Location is quite possibly the most important aspect of a vacation home. It needs to be somewhere you can afford, somewhere you can profit off when you aren't staying there, and most importantly somewhere you enjoy living. Read on for our guide on where to buy a vacation home, and why! Chicago might not strike you as an ideal location for a second home, but it's actually one of the most profitable markets in the country right now. Chicago makes the list because it's a business hub, and if you're looking to rent out your second home (think Airbnb) it's much easier to manage a business-heavy property rather than a vacation destination where people will be partying. As a vacation location, you can't beat Chicago in the summer. From stunning Lake Michigan to an incredible food scene, to massive festivals like Lollapalooza, Chicago is the place to be during the summer months. If you're looking for a true vacation home which also has some serious earning potential, look no further than Panama City Beach. The weather is incredible all year, so no matter what time of year you want to relax, you'll find sunshine and warm weather. Properties in Panama City Beach can bring in over $30,000 a year on average, with much higher earning potential depending on how often you rent it out. Property value in Panama City Beach is on the rise, so it's a great long-term investment as well. While Panama City Beach may not actually be in Panama, there's still a rich Central and South American culture in the area, making it a great place to hone those second language skills as well. Want to own your own island property that's outside of the United States but still within its laws (making it much easier to rent out)? Puerto Rico is the place for you. Puerto Rico is beautiful and fairly inexpensive, making it an ultimate vacation home location. 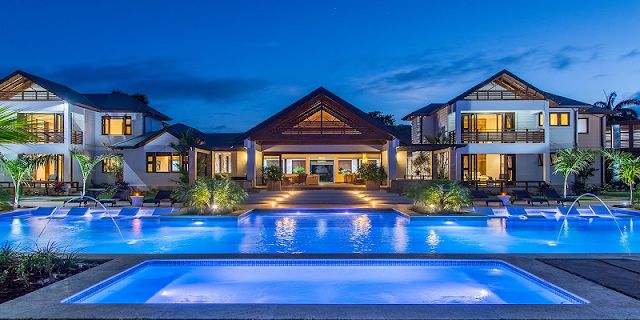 While buying a second home outside of the traditional borders of the United States might seem like a daunting task, companies like Strong|Edge Realty make purchasing a vacation home in Puerto Rico a quick and painless process. The west coast is the best coast, according to us and many other people, and there are plenty of great locations to prove it. Places like Napa Valley and Palm Springs in California are great locations for their beautiful weather and stunning geography. Meanwhile, Seattle is a great choice for its combination of lush nature and booming business possibilities. Now that you have an idea of where to buy a vacation home, it's important you know how to fully use it. Owning a vacation home is like owning a small business, and we're the experts in utilizing your full business potential. Whether it's growing website growth or finding an accountant to help you with that vacation income, we're here to help.